With a French daily claiming that Anil Ambani’s company benefited from a French tax waiver in 2015 when India was negotiating the Rafale deal, opposition parties on Saturday alleged that Prime Minister Narendra Modi was acting as a “middleman” for his “crony businessman” and that layers of corruption were now being unravelled. The Congress alleged that the tax concession for Ambani was due to Modi ‘kripa’ (blessings) while the left parties said the Prime Minister’s Office “must own up to this”. However, the defence ministry termed as “mischievous” and “inaccurate” any attempt to draw a connection between the tax issue and the Rafale deal. The French embassy in New Delhi also issued a statement saying tax settlement with Reliance was not subject to any political interference whatsoever and was conducted in full adherence with legislative and regulatory framework. “This is called zero sum choices, startling tax concession and Modi ‘kripa’,” Congress’ chief spokesperson Randeep Surjewala told reporters in New Delhi. He said that the report exposed “layers” of crony capitalism and corruption. “PM Modi is acting as middleman for Anil Ambani. How many other companies in France have got a tax benefit? Is this not a quid pro quo for the purchase of aircraft? It is clear only one watchman is the thief,” the Congress spokesperson said. “Those that have Modi’s blessings can get anything. If Modiji is there, then it is possible. (Modi ji ki kripa jispar ho jaye uska kuch bhi ho sakta hai, Modi hai to mumkin hai),” he said taunting the BJP with its poll slogan. CPI(M) general secretary Sitaram Yechury alleged that the Modi government misused public funds to pay an “exorbitant” price for Rafale fighter jets to benefit “crony businessman” Anil Ambani through offset deal and French tax benefit. “So, our public money is used by Modi govt to pay exorbitantly more for far fewer Rafale fighters than required, to benefit a crony businessman through the defence deal and French tax benefit. No wonder BJP introduced secret electoral bonds for party funding, legalising corruption,” he said. “The whole nexus is now coming out into the open. PMO was directly involved in Rafale scambypassing our Air Force, and NSA was illegally negotiating in Paris,” he tweeted. Surjewala claimed that in 2017-18, Dassault Aviation deposited Rs 284 crore in the bank account of an inactive company Reliance Airport Developer’s Ltd. “This took place when the government of India was making advance payments to Dassault Aviation,” he said. The Congress has been alleging “favouritism” and “corruption” in the deal, saying the government was procuring each aircraft at a cost of over Rs 1,670 crore as against Rs 526 crore finalised by the UPA government when it was negotiating.The government and the BJP have maintained that there has been no wrongdoing in the deal. 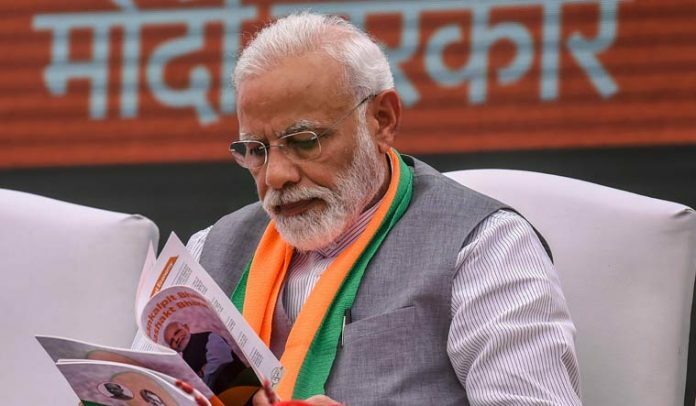 Reacting to the newspaper report, the defence ministry said, “We have seen reports drawing conjectural connection between tax exemption to a private company and procurement of Rafale fighter jets by government of India. Surjewala responded by saying that defence is acting as “official spokesperson” of a corporate. CPI leader D Raja accused Modi of aiding his “corporate friends” while leaving farmers and students high and dry. “While this government denies loan waivers to farmers and students who are in deplorable condition and are committing suicide, he is facilitating loan waivers for corporates. “He stands thoroughly exposed. Even when all this is coming out, he is sending Niramala Sitharaman and other leaders to defend him, but they were not even part of the deal. Why isn’t Modi or PMO answering the questions raised by us? Wasn’t the PMO conducting parallel negotiations in the matter? The PMO must own up to this,” Raja said. NCP chief Sharad Pawar claimed former defence minister Manohar Parrikar relinquished his post at the Centre and returned to Goa because he did not agree with the Rafale fighter jet deal.